On May 15, the European Commission adopted the proposals for Council Decisions on the signing and provisional application of the EU-Ukraine Association Agreement (AA), which will be transmitted to the Council for further processing. Some Ukrainian media mistakenly interpreted these proposals as a political decision and a “final step” made by the EU toward the signature of the Association Agreement. The following brief analysis aims to clarify the meaning of the Commission’s decision. Was the European Commission’s decision political or technical? The proposals do not constitute a political recommendation for the Council of the European Union on the signing of the AA, but a technical decision to prepare AA documents on time (for possible signature at the Vilnius Eastern Partnership summit in late November). The Commission has clearly said that with its proposals, the EU is “taking a necessary preparatory step in order to be technically ready for the possible signing of the Association Agreement.” Nevertheless, it is true that this decision bears a certain “political” significance. Can these proposals be considered as the EU’s final decision on the Association Agreement? No. The final decision will be made by the EU member states (Council of the European Union) based on Ukraine’s progress in implementing the benchmarks set out by the EU: follow-up actions from the October 2012 parliamentary elections; addressing the cases of selective justice and preventing any recurrence and moving ahead with the jointly agreed reform agenda. The Commission has clearly stated that the EU, “will only sign [the Association Agreement] if Ukraine creates the necessary political circumstances.” The Commission together with the European External Action Service will therefore continue to monitor Ukraine’s progress. Do the European Commission’s proposals pre-determine the final EU decision on AA? No. The proposals do not prejudge any political decision to be adopted by the EU member states on signing the agreement. Why did the European Commission make this decision? The EU adopted the proposals because of internal procedures. Before authorising the signature of the AA, member states must be allowed sufficient time for their internal procedures, including consulting national parliaments. Taken into consideration the length and complexity of the Agreement, this process will take a minimum of six months. 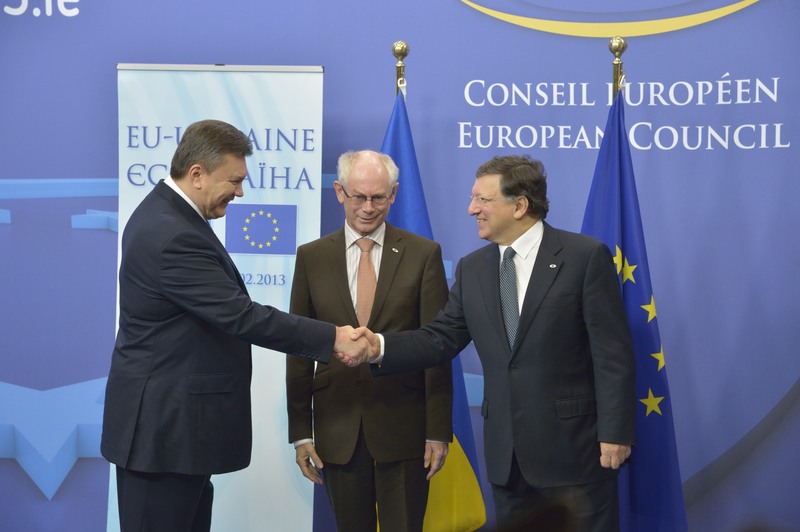 The Commission’s proposals were therefore needed at least six months before the Eastern Partnership summit in Vilnius.